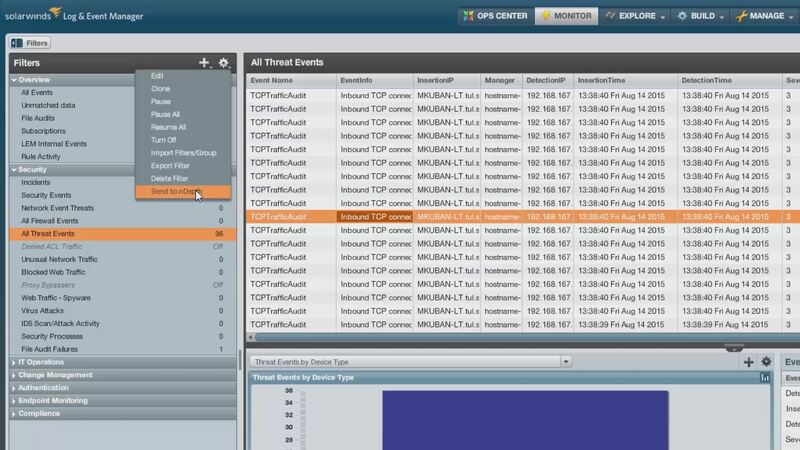 Centralize Juniper device logs and enable 24/7 monitoring to protect against network attacks. Fine-tune built-in correlation rules to suit Juniper network devices for improved security. Automatically detect suspicious activities on your network devices, apps, and end-point devices. 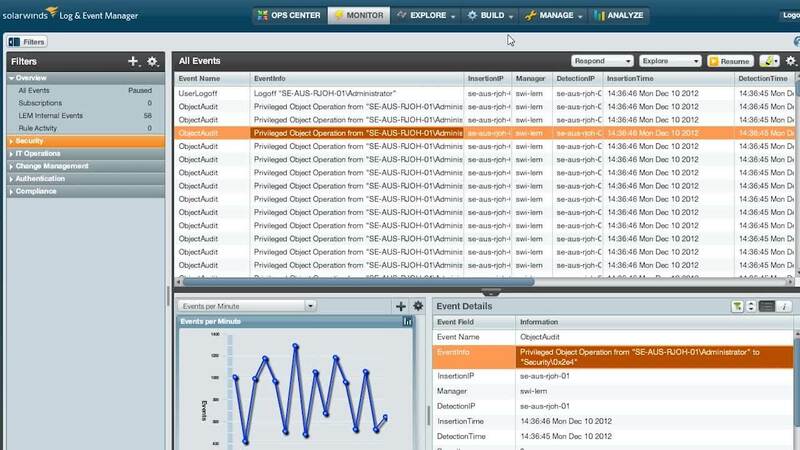 SolarWinds Log & Event Manager centrally aggregates all log data from hundreds of Juniper network devices, and triggers alerts and notifications when security and policy-driven events are encountered. Log & Event Manager tracks all malicious activities and helps you troubleshoot issues quickly by acting on instant alerts received on the dashboard console. Instantly see into security breaches with real-time, in-memory event correlation, helping you take the right action without wasting time. SolarWinds Log & Event Manager features non-linear, real-time, in-memory event correlations for thousands of network, server, database, and firewall events. 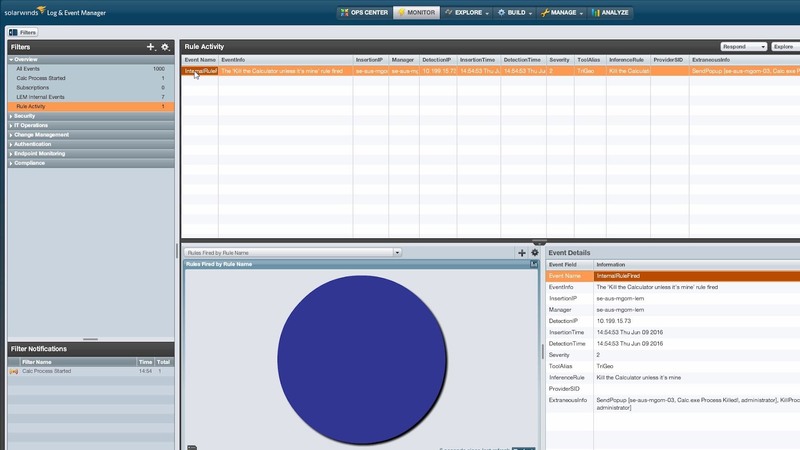 Log & Event Manager collects log data from Juniper network devices and firewalls, such as Juniper Networks Secure Access 2000, Juniper NetScreen 25, and more. Also, Log & Event Manager stores log data with a high-performance, high-compression data model that stores data at up to a 60:1 ratio. This significantly reduces your storage requirements and helps you avoid buying additional storage hardware. SolarWinds Log & Event Manager responds automatically to mitigate threats from attackers, malware programs, and other operational issues. Whether it's a threat infiltrating your IT infrastructure, or malicious software passing through your Juniper network devices and firewalls, you can configure Log & Event Manager to take the correct responsive action in real-time. The built-in active responses include send incident alerts, emails, pop-up messages, enable or disable users, kill processes by ID or name, and more. Without continuous monitoring and real-time data, your Juniper network devices can be exposed to malicious activities. Troubleshooting is difficult if you can't analyze event logs from network devices, firewalls, and intrusion detection appliances. Threat detection and remediation become ineffective if you do not have an active response system to mitigate attacks.